The Pro Grip 5007 Tank Pad is the sticker with a purpose. It is designed to protect your motorcycle’s tank from cosmetic damage. This product comes in 3 colors: carbon, chrome, and clear. There are riders who like to baby their bike and ensure that it’s in pristine condition. There are also riders who ride until the coil shows in their tires. Both riders share something in common – to keep their bike protected from the unexpected. 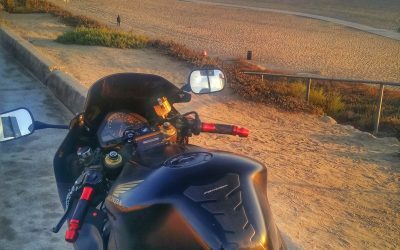 Unless you like to show off the battle scars on your bike, there is no better feeling than the peace of mind a tank pad provides for the paint job on your motorcycle. It’s 72 and sunny, cool breeze and not humid so you wouldn’t have to worry about sweating so much in your gear. 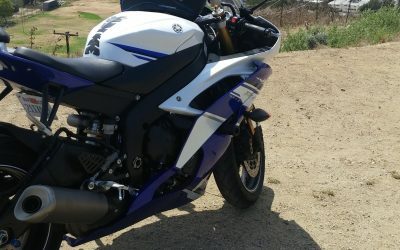 The sun has been scorching the past few days, not that it would prevent you from riding, but now couldn’t have been a better time. Yes, I’m subtly describing bike life in California. Anyway, you and your boys have been planning a road trip for the longest, but this is not any type of road trip. This is a road trip to one of the biggest stunt shows on the west coast. So you prep. You prep as if you’re going out on the hottest date (with your bike, of course). You clean, you polish and right before you get to the stunt show, you do a little touch up. That feeling when one of your homies walk up to your bike and ask, “Yo, what happened right there?” is like dropping your phone, screen first – you know it’s bad, but you don’t want to know how bad it is. That $25 investment in a tank pad you should’ve bought has now turned into a $100 expense to re-polish it. Tank pads or tank protectors prevents damages such as scuff marks and paint chips from occurring on the tank of your motorcycle. Common ways these damages happen is from your belt buckle or zipper. Imagine your body position on your motorcycle and how the metal objects you’re wearing around your abdominal or hip region of your body are constantly rubbing or making contact with your tank. That’s like cutting meat with the same knife for years and expecting the knife to stay the same. No, it’s going wear down and the sharpness is going to deteriorate. Same with your tank. The constant contact is going to wear the paint out. 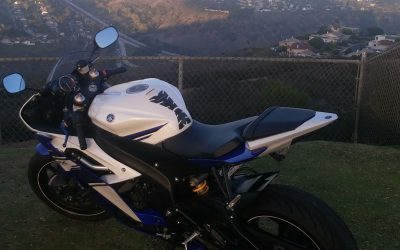 Another benefit of having a tank pad is that you have better grip and control, which prevents you from sliding on your motorcycle. Brands such as TechSpec and Stomp Grip are known to cater to those riders who are looking to enhance their riding style/performance. Many times riders are concerned with the aftermath of having a tank pad on their motorcycle. Depending on the tank pad you purchase, you will get different results. Due to long exposure in the sun, of course your motorcycle’s paint is going to fade. Whether it fades unevenly or evenly, you’ll have to make that investment to re-polish it. Your best bet is to keep your bike covered or stored in a garage. When choosing a tank pad, it’s important to think about your riding style. By doing so, you can eliminate what’s not necessary. I wasn’t drawn to the tank pads that offer side pieces because 1) I’m not a track or street racer and 2) I don’t hit the brakes on my motorcycle hard; therefore, improving control throughout my commute was not necessary. The only time when I wish I have more control to prevent myself from sliding is when I’m riding with a passenger and her weight pushes me towards my tank. I’ve always had ProGrip tank pads on my bikes. What I like about ProGrip tank pads is the simplicity in the style and the design. It’s not flashy and it seamlessly goes well with the look and feel for my bike. The Pro Grip 5007 Tank Pad comes in two pieces, giving you more flexibility on how you want to align the pieces on your tank. I’ve seen YouTube videos on how people install their tank pads. Some would heat the tank pad before applying as well as going to the extent of taking measurements and making marks on where to apply it on the tank. Let’s be real. 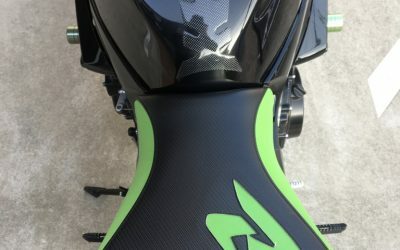 Nobody is going to look at your bike and out of all things, say that your tank pad is crooked (unless you purposely didn’t want to align it straight). I’ve simply cleaned the area of the tank that I was going to apply the tank pad to and then applied it. Results may differ with other brands, but with the Pro Grip tank pad, I’ve never dealt with the tank pad peeling off. Although there are alternatives to purchasing a tank pad, such as applying a heavy coat of wax or using clear vinyl protector sheets, it’s important to think about the life span of those alternatives. How often would you have to make repurchases? How easy does it peel off? Does it have a low weather tolerance or does it only work in normal weather conditions? Does it affect your riding performance? With the ProGrip Tank Pad, you’re getting protection at it’s simplest. Apply and ride. Feel free to drop a comment below. Tell us about your favorite tank pad and don’t hesitate to share pics. Why is your top banner so wide that it takes up 1/3 of screen space? It’s annoying to have to constantly scroll to read the next couple of sentences. Thanks for the feedback. Please email us at info@motoschemes.com with a screenshot so that we can provide a better user experience for you.